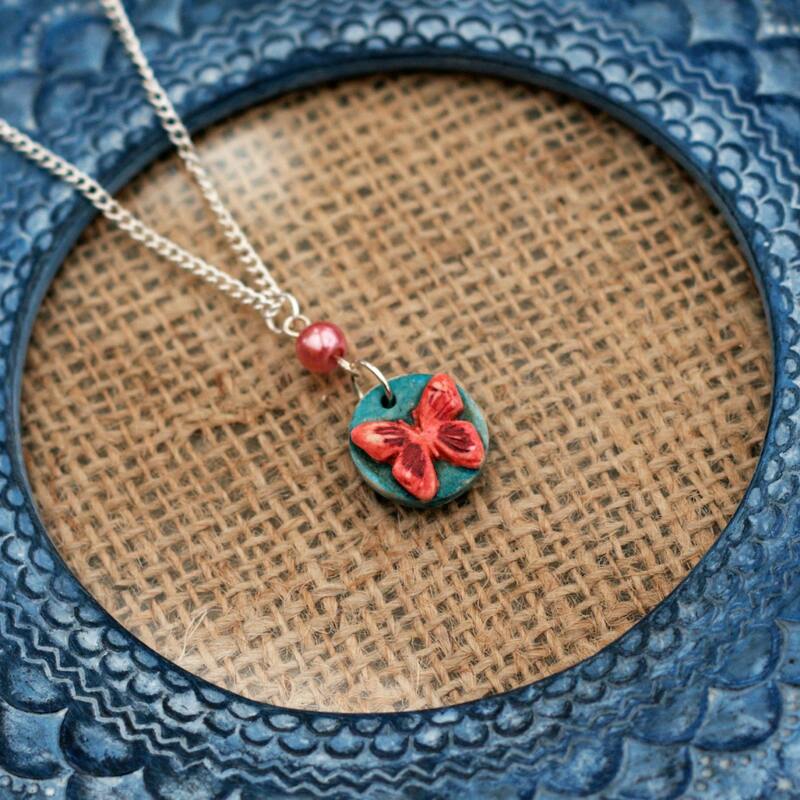 • This necklace is very lightweight to wear and would suit any butterfly loving individual. • Although all necklaces are made with care and attention, it is recommend that you don't take them in the shower or swimming pool. • All necklaces come packaged securely and will be mailed in a bubble envelope.All other flower jewellery can be viewed here: http://www.etsy.com/shop/LaurasJewellery/search?search_query=flower&search_submit=&search_type=user_shop_ttt_id_5320227&shopname=LaurasJewelleryThe pendant used in this necklace has been handcrafted from polymer clay, fired and painted. It was not made by me, but I am happy to be able to buy beads from another artist and support their business.